Spanish, German, Russian translations and an E-Book version are available on my Patreon. What's "Dreams of the Dying?" 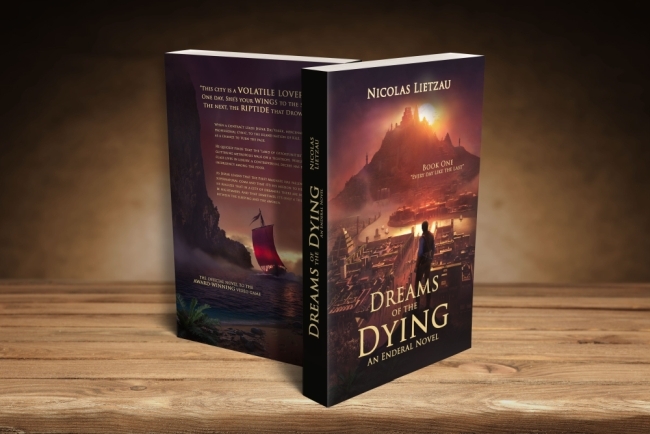 “Dreams of the Dying” is a spin-off web novel to Enderal. It’s the first installment in a free-to-read series called “Every Day Like the Last”, that explores the past of Jespar Dal’Varek, one of Enderal’s protagonists. I release one chapter each week, free to read here on Patreon and on Wattpad. The book will always be available for free, though there are some perks that come with being my Patreon. I also plan to release a paperback version at the end of each season. A season lasts between 4-5 months, depending on the number of chapters. Learn more about the novel on my Patreon! Also, if you'd like to be informed about the state of the novel and the paperback release later this year, consider subscribing to my newsletter. Thanks to everyone who has supported me so far! You rock! Wonderful! I'll definitely read it! I was afraid that you want continue expanding the universe after the Forgotten Stories. I've also heard that you will be doing your own games in rhe future. I wanted to ask: are you plannung games in Enderal universe? Looks interesting. Is my memory playing tricks on me, I thought you were writing a novel about something happening on a cruise ship. Good memory! Yes, the novel you're referring to is "Bermuda", a horror/magical realism novel that is also most ambitious writing project so far. I finished the first draft in Thailand, 2016, and I'm planning to make it my first stand-alone publication when the first season of "Every Day Like The Last" is through. I also wrote a mystery novel last year, which is currently in the hands of an agent, but more on that when it's out. I was afraid that you want continue expanding the universe after the Forgotten Stories. I've also heard that you will be doing your own games in rhe future. I wanted to ask: are you plannung games in Enderal universe? There are no immediate plans - Of course, we'd like to, but right now no one in the team has the time and resources for it. We'll see. Im so excited! Just curious, will you be publishing physical copies? I would definitely buy one. [...]The book is a web novel, which means I'll publish one chapter a week, on Patreon, Steam, and Wattpad. The first one is due with our soon-to-release Forgotten Stories cinematic trailer. Oh man, I'm really looking forward to getting my hands on a physical copy of the finished book - I can hardly wait, but I'm going to make myself do so until the physical copies are released, and then I'll gladly buy one, and each one after the first. On a side note, I've been wondering if you hardworking folks over at SureAI could make some of the more prominent books in Enderal into physical copies as well. Or maybe do some sort of "Explorer's/Adventurer's Guide to the World of Enderal", which could contain lore on monsters, creatures, the humanoid races, interesting locations, artifacts (such as powerful weapons & armors), Enderalean history, and a bit of background info on important people in the game world (and not just those that the player meets themselves, but people who are important in Enderalean society as well). Please try to let me know if you think this could be a possibility in the future! I would be willing and perfectly happy to help you all out with that however I could, such as by doing thorough proofreading/editing for a possible English version. And if it isn't possible, then I'll understand - I just think it would be a really awesome thing to do, and I'm pretty sure that a lot of your other fans would think so, too. Please keep up the amazing work...You guys rock! Glad you're looking forward to the book. We haven't thought about turning other books into paperback yet, mostly because I'm not sure enough people would be interested in it. Also, some of the books were written by external writers, so it would require contracts et cetera. Maybe at some point in the future! Chapter IV: "Understanding the Ocean" is now available! I'm very curious about how you like it. Let me know in the comments! 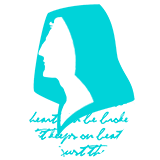 Finally, some of you might have noticed that I now have a newsletter. Click here to subscribe. I'll send one once every other month with updates regarding the novel, and, more importantly, the paperback and audiobook release. This newsletter might be especially useful for readers who want to wait for the physical version of the book and would like to be informed when it's available. Of course, there'll be no spam. Anyway - happy reading! And thanks again for all your fantastic support! You're amazing. Chapter Five - "Yuva" is now available! I hope you like it. I also added an epub version. The formatting isn't yet ideal, I'm working on it. Also, we made one-hundred patrons! I don't know what to say - I would like to do something special as to express my gratitude, but this is a little too short-term, so I'll think something up over the weekend. A huge thanks to each and every one of you - patrons and silent readers alike! As always, I appreciate feedback. Every nitpick, every unclarity - do tell!